In this episode John and Todd chat with Mia Chang. 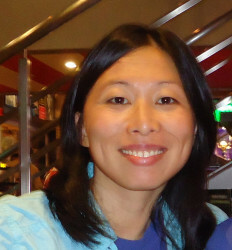 Mia Chang is a church planter and lead pastor of NextGen Church in Princeton Junction, New Jersey. She is excited about NextGen’s growing ministries in the local and global communities. Rev. Chang has received her M. Div. from the Alliance Theological Seminary in New York City and her D.Min. from Palmer Theological Seminary.